Do you want an Amazon Echo without buying an Amazon Echo? Invoxia has you covered, as it has converted its Triby smart speaker into the first non-Amazon product to be Alexa-enabled. Tapping into the Amazon Alexa Voice Service, Triby will now act just like an Echo does – you can give it instructions on a various array of tasks including music playback, Wikipedia information and shopping list updates. For a full list of what Amazon Echo can do check out our guide (although be aware that Triby may not be capable of everything Amazon's in house device is). 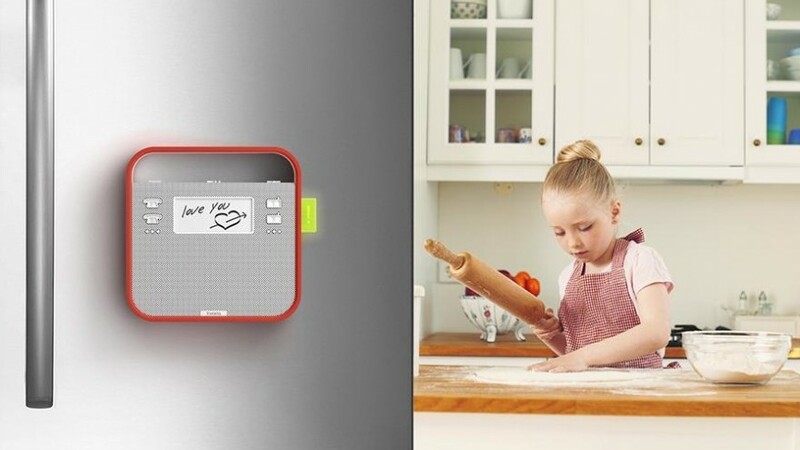 Triby is a kitchen memo system that's designed to be a major part of a family's day-to-day communications. In an age where you've got more instant messaging platforms to choose from than messages you'll ever send, the simple memo lives on with the Triby. It allows you not only to leave messages for your loved ones on the E Ink display, but also contact them instantly with Wi-Fi calling. Plus, if you forget to leave a note, you can sketch one out when you're not at home using your smartphone as a canvas. It also has internet radio on board and Spotify Connect – and Alexa will, of course, be on hand to fire up your tunes using voice commands. In the future Invoxia also says voice controls will extend to making calls. Triby's creators say that the extra Alexa functionality won't impact too much on battery life, stating that the wake-word detection makes use of the device's ultra-low power chip. "Our expertise in far field voice capture and connected devices helped us integrate the Alexa Voice Service quickly, and now the already multi-functional Triby becomes even more versatile and intelligent, giving people access to continually evolving cloud-based content and services," said Sébastien de la Bastie, MD of Invoxia. "As one of our first Alexa Fund companies, it's great to see Triby offer their customers Alexa integration today," added Steve Rabuchin, VP of Amazon Alexa. "We believe voice is the most natural way to interact with technology in your home, which is one reason we've made access to the Alexa Voice Service available to device makers and developers for free." Triby costs $169 and is available from Amazon. The new Alexa functions should be landing on existing devices today.